Four of the country’s best DJs topbill Globe parties in Cebu and Iloilo with their signature beats! Fresh from the launch of its world-renowned GEN3 Stores that brought the Philippine telco experience to global retail standards, Globe Telecom continues the celebration as it treats revellers Iloilo after Cebu to great music and entertainment with back-to-back parties for two of the country’s biggest festivals: Sinulog and Dinagyang. Taking centerstage in this month’s festivals are four of the country’s best DJs and GEN3 NEXT ACT ambassadors! “At Globe, we always look forward to giving our customers wonderful experiences and many reasons to celebrate. During the unveiling of our newest GEN3 Stores, we told the stories of today’s biggest DJs as part of the new Stores’ concept to highlight individuals with inspiring stories. This time, we are bringing all four DJs again together for a festival experience that partygoers will surely remember. We are inviting locals and tourists to get ready to celebrate all night at the Globe parties in Cebu and Iloilo,” said Joe Caliro, Head of Retail Transformation at Globe Telecom. While said to represent the sound of this generation, Badkiss, Callum David, Mars Miranda and Eric Capili each has a unique style and beat capturing crowds of partygoers everywhere. The combination of their energetic sets will surely rev up the parties and will keep everyone dancing non-stop. Mars Miranda, who has made a name for himself in the club scene at an early age, will surely make it a night to remember for everyone. He only has one thing in mind: to make the night worth it for the crowd. “I just want to see people in front of me with all that energy, and feed off it. They came out to see me and it’s my responsibility to show them a good time,” said Miranda. Partygoers in Cebu and Iloilo should expect to find themselves on the dancefloor all night long with Callum David on the deck. David said,” I listen to the radio and do a lot of research on my own. My music depends on what mood I’m in, but I like to keep people happy, and keep the crowd dancing.” David, who came to the Philippines as a model, will combine his love of music and experience as a DJ abroad to win over his Filipino audience. Catch these DJs as they share their best music remixes to get the party going in this year’s Sinulog and Dinagyang Festivals. And the celebration gets even more exciting with the colored powder blasts to shower the audience as they party all night long! 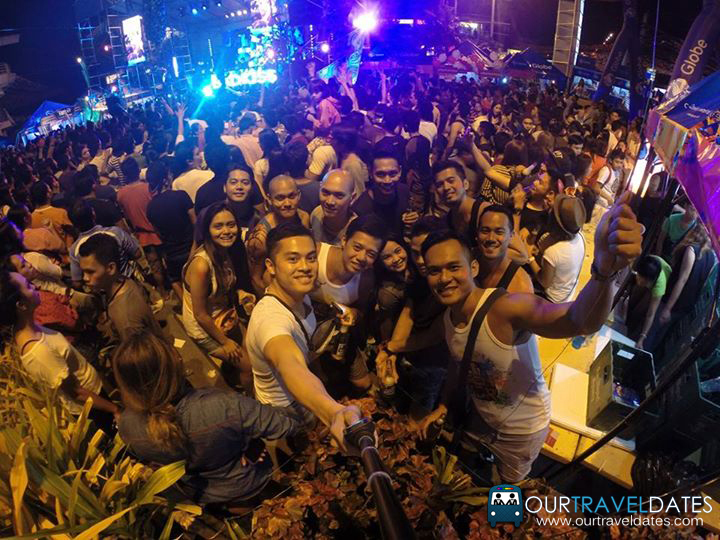 Their Sinulog Festival #NextActSinulog party was a blast, held last January 15 to 18 at One Mango Square. They are still the ones to watch out for in the upcoming Dinagyang Festival on January 22 to 25. The DJs will be performing starting at 10:00 p.m. to 2:00 a.m. at the Globe Mobility Store on the Go located at Capitol Grounds, Iloilo City. Globe Prepaid, Postpaid, TM and Tattoo Broadband have prepared a lot of prizes and surprises for everyone who will visit the Globe Mobility Store including a lot of games, variety shows and exclusive perks and privileges for Globe customers. While Sinulog had live band performances in Cebu starting featuring Calla Lily, don’t miss the different variety shows led by the Global Mardigras as well as the famous Kalokalike contest on Dinagyang. And to cap this one off, here’s how it looked like when it happened in Sinulog 2015 thanks to a very good friend Twi, we’re getting a GoPro ASAP! 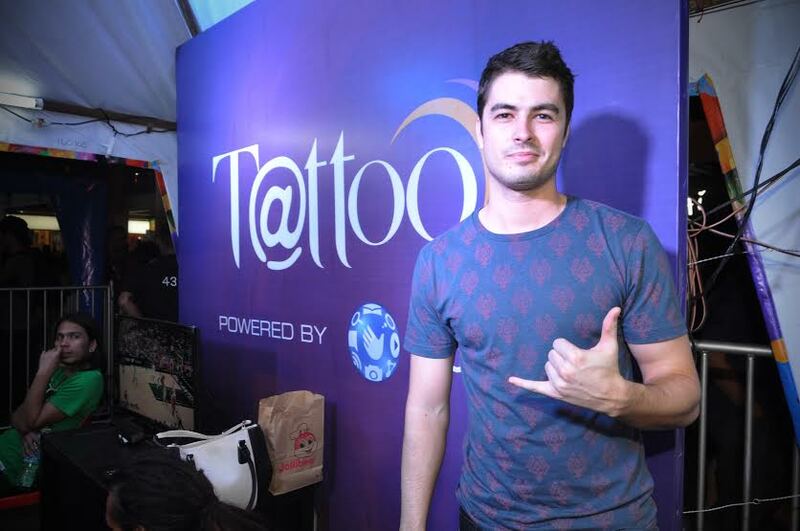 To know more about the DJs their special performances, and the rest of Globe activities happening in both festivals, follow @enjoyGLOBE and @ChooseTattoo on Twitter, @enjoyGlobe and @ChooseTattoo on Instagram and like Globe on Facebook at http://www.facebook.com/GlobePH and Tattoo at http://www.facebook.com/GlobeTattoo. Next articleWhich 63rd Miss Universe 2014 Country Are You? Take The Quiz! Travel With Your Partner To Bohol For P1 With AirAsia!